We are seeking male hair models for our upcoming hair and fashion stage show Sunday 9th June 2019. It's artistic, high energy and major impact it's set to be a show stopper! 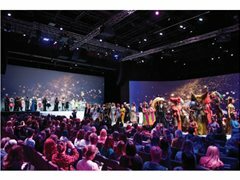 It's a huge show and we need models for cutting, barbering and grooming on stage. We are respectful of our models limitations and expectations. We will look after your 'do both before and after the event. Payment for the event will be in the form of $$ payment, contra hair products, hair maintenance at our Keune Studio by our expert team and access to all images/videos from the event. Payment amounts vary, pending section, limitations and time requirements. This is a fun-filled event! Models will be styled and presented on stage. You hair will be tended by our internationally renowned barber team and coloured conscientiously by our expert colourists. Models must have experience walking & need to be available all day Sunday 9th June, a few hours in the week (3rd - 7th June) for hair colour prep and artist liason.